The PowerZoom has adjustable zoom magnification buttons on a convenient control panel. It is an excellent match for an individual with a significant impairment because it gives magnification up to 100x power. Features include enhanced contrast to make reading print easier. 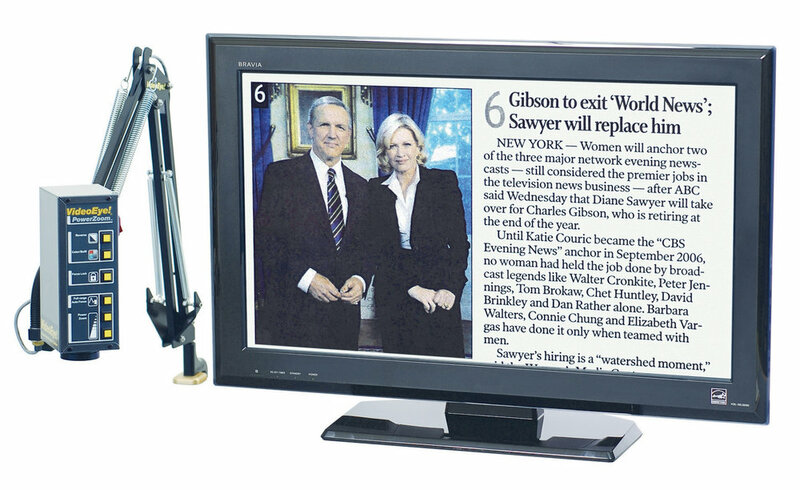 The PowerZoom is one of the most popular conventional non-HD VideoEye models. 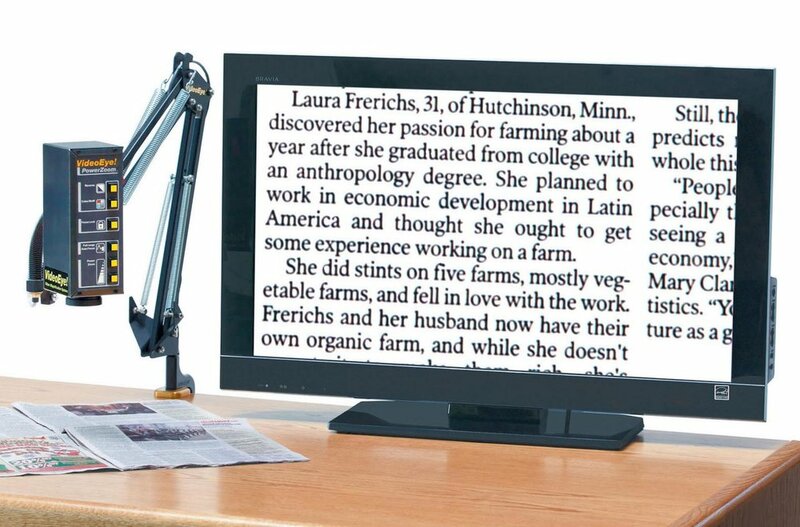 With a 32" flat LCD screen, it is a good match for an individual with significant impairment from macular degeneration. The PowerZoom has helped thousands of individuals who are "legally blind" continue reading their own mail and living independently. Extends the Autofocus range to work at any height above work surface. Helpful for interactive use and with the mirror attachment. Increases field of view and changes magnification to lower power. The PowerZoom is an excellent match for an individual with a significant impairment because it gives magnification up to 100x power. It also offers the VideoEye enhanced contrast feature that actually fills in magnified letters so that print always appears solid black. The PowerZoom magnifies from 2x to more than 100x power. The field of view goes up to 15" wide at 2x power. It features control buttons that adjust precise magnification to raise or lower magnification power. Controls on the front also feature reverse image, focus lock, and black & white/color.